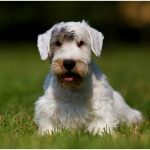 The Sealyham Terrier is basically a hunter dog at the beginning, but now this has become a good companion dog even for novice trainers. It was named after the Sealyham house of Captain Edwards in Wales. 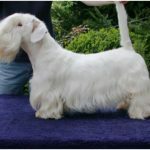 This breed in popular in past years but now Sealies are one of the rare breeds in the world. This is a working dog more than a good companion if it has got good training. Sealyhams are stubborn and independent but they are honest and friendly with the owners. Although they are friendly, Sealies are reserved with strangers and other unknown dogs. They are aggressive and go into fights with unknown dogs and animals. As they are hunters, they tend to chase the animals. So, the owners need to pay good attention towards the pet. 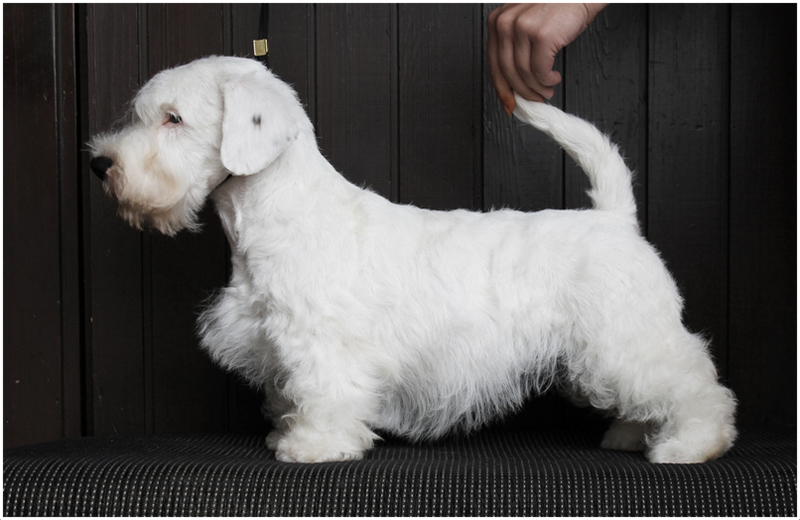 Sealyhams need good and patient training to turn into a humble family dog as they are stubborn. 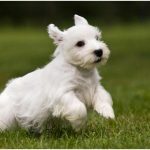 They need little training and space to develop friendship with other dogs and cats. 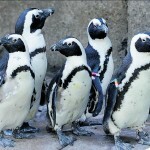 As this is a rare breed, breeding is little difficult process because of their unavailability. 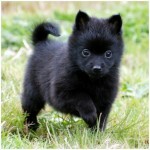 This is one of the healthy breeds and face very little healthy problems. The price of Sealyhams ranges between $1000 and $2000. 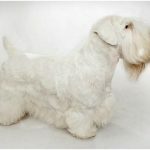 Sealyhams are double coated with white colour outer coat and thick white colour under coat. Some Sealyhams have lemon, tan, brown stains on their coat. Little lengthy hair is present on the outer coat and it is rough and wiry to touch. The under coat is thick and soft and protects it from external conditions. 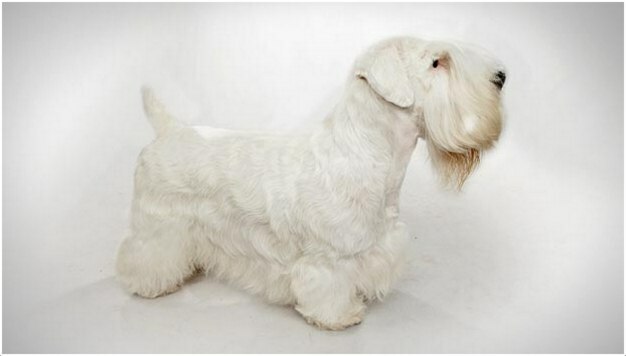 The broad face seemed to be stretched forward and it is totally covered by the white fur. 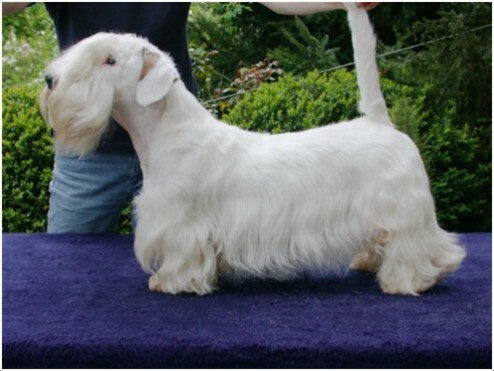 The white fur forms a beard above the mouth at the dark, large nose. The ears are wide, low and droop down on the cheeks. 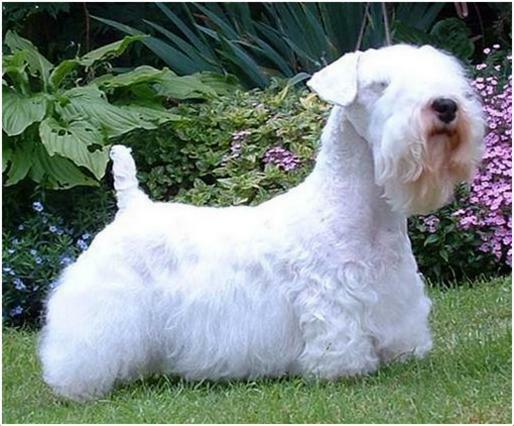 The average height of the Sealyham terrier is about 12 inches (30 cm). The weight of female Sealyhams is about 18 lbs (8 kg) and male Sealyhams is about 20lbs (9 kg). The Sealyhams are good companion dogs and when a chance is given then it would be a good working dog. This is stubborn, humorous and little lazy compared to other terriers. This doesn’t show up good interaction with the strangers and this is good with other dogs. They are vocal and courageous dogs and they are also good watch dogs who bark well. They are stubborn by nature and patience is needed during training. When socialized well this would be a good companion dog to hang out with. Sealyhams are good at hunting mice and rats. 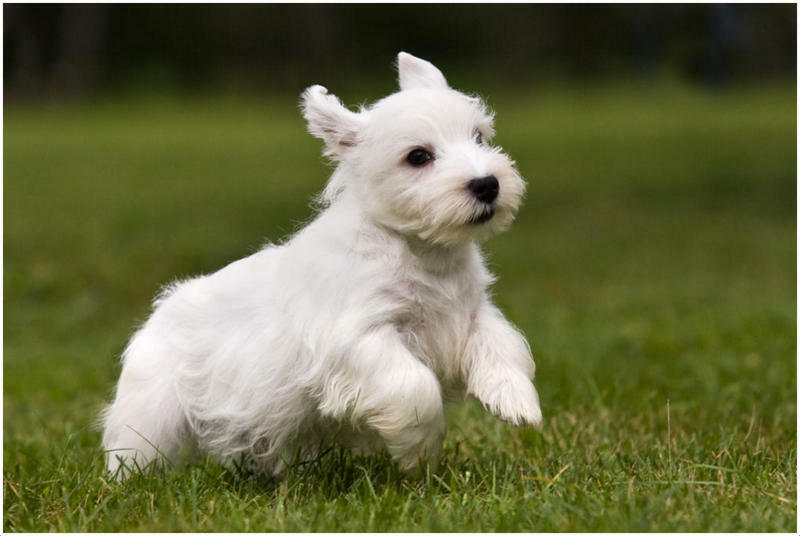 Do not allow this dog to develop behavioural problem like small dog syndrome and separation anxiety. They are fine even if they are left alone and over pampering may lead this dog become more stubborn. They are friendly, alert and extroverts. 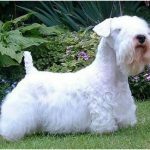 Generally Sealyham Terriers are healthy dogs and this breed is a healthy breed with fewer health issues. The most common problems in Sealyhams are abnormalities in vision. The lens disposition problem called lens luxation and the retinal problem called retinal dysplasia are most common problems found in Sealyhams. 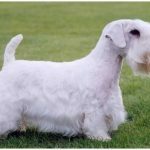 More than this there are not many health problems occur in this breed. Every dog needs a healthy and good quality feed; the diet plan should include dry food, milk and dog biscuits. Two cups of feed would be fine for a Sealyham for a day. But the feed varies based on the size, activities and age of the dog. Do not over feed the dog as it may result in health abnormalities. The Sealyhams are not very active and they can easily adapt in small apartments. 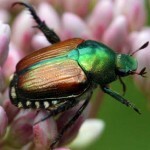 They are good companions for urban people who live in apartment or house without yard. Cooler weather is preferable for Sealyhams as they are sensitive to warmer weather. They are calm in indoors so these can adjust well within the apartment. Sealyhams should be allowed to play only in the fenced yard as it may chase other animals. Daily walks are necessary to keep the Sealyham healthy and active. As they are not active dogs plays may not be sufficient for its physical exercise. They are not active players so they need an extra physical exercise to keep the body fit. On daily walk they should be on leash as they hunt the animals if they have a chance to. 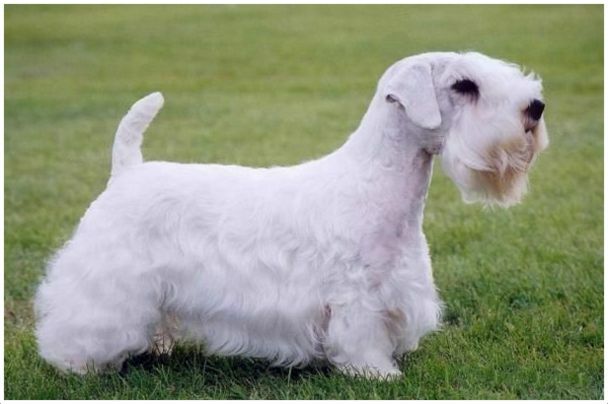 The Sealyham can give birth to 3 to 7 puppies in one litter on an average. Pay attention towards the puppies and mother Sealyham after whelping and during pregnancy. In case of any danger consult the vet for further treatment. 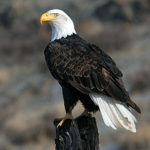 Though they are safe under proper protection but their aggressive nature may lead into fights with big animals. So, they need proper protection from the external animals. 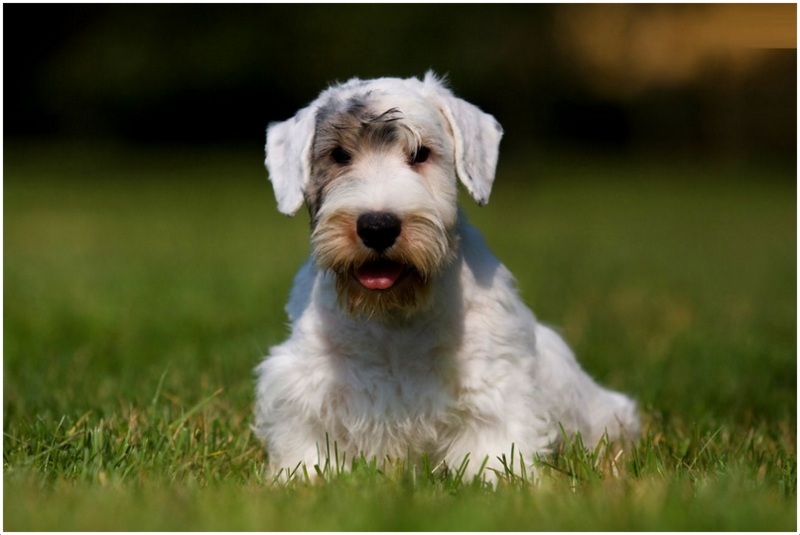 Breeding at the proper age and at good health condition keeps the dog healthy. 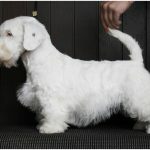 Professional breeding would be best for the dog’s health and for healthy puppies. A Sealyham lives for 12 to 14 years on an average. The life span may extend if the dog’s health is maintained in good condition. Grooming is necessary to keep the Sealy clean and hygiene. The coat should be brushed at least twice or thrice in a week. Occasional bathing is sufficient or bathe the dog when it seems to be untidy. Brushing removes dead hair and the dead hair can also be plucked by using a plucking tool. Brush the teeth twice or thrice in a week to prevent the teeth from tartar formation. Trim the nails if they are very long or at least once or twice in a month. Sealyhams are not heavy shedders and they shed very little. If proper care has taken then it would not shed at all. If the hair is clipped then it would result in heavy shedding. Regular grooming keeps the Sealyham hygiene.